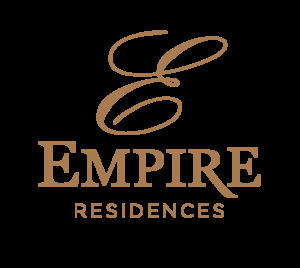 PARK CITY, Utah, September 17, 2018 (PressRelease.com) – Empire Residences (“Empire Residences” or “Company”), a developer of luxury sk in/ ski out condominiums in Deer Valley, Utah announces the purchase of 42 percent of its member interests by Empire Asset Group, LLC (“EAG”), a Utah company managed and owned by Jeffrey Taylor (“Taylor”). EAG purchased the ownership interests of N London 7, LLC, a Utah company owned and managed by Harrison Horn of Provo, Utah. Taylor, a full-time resident of San Diegom California, is a successful business executive with public and private industry experience in the oil and gas, real estate, insurance and agriculture sectors. The Taylor group of companies have been active contributors to Park City economic and investment activities throughout the past seven years. “Empire Residences is the most exciting development opportunity we have come across in the Park City market. The mountain contemporary design and finishes are the best on the mountain, and the location is second to none. Truly a first-class Ski-In / Ski-Out project. We look forward to the success of Empire Residences and future luxury mountain modern developments with Aspen Group,” said Taylor. The new development includes twenty luxury ski-in, ski-out condominiums ranging in size from 1,140 to 3,630 square feet, with two to five bedroom floor plans. Amenities in the building include a front lobby, après-ski lounge, pub, fitness center, ski locker room, ski beach patio, underground parking with private unit storage and the unique capability for electric car charging stations for each residence – the first of its kind in Park City. Another distinguishing factor is the inclusion of large outdoor decks for each residence, and private hot tubs – another first of its kind for condominiums in the Empire Pass community of Deer Valley. Ten of the twenty residences are currently reserved. Summit Sotheby’s International Realty in Park City, Utah manages the marketing and sales for the new development. Aspen Group, developer of the project, is a successful condominium developer with numerous projects in Deer Valley including Deer Lake Village, Lodges at Deer Valley, Silver Baron Lodge, and The Chateaux at Silver Lake. “Empire Residences will set a new standard for properties in Empire Pass. We look forward to our partnership with Jeff Taylor as he appreciates the high standard we seek to set for the community,” said Lynn Padan of Aspen Group. Empire Residences is located in the Village at Empire Pass, a community of ski properties at the base of the Silver Strike chairlift at Deer Valley Resort®. Deer Valley was once again ranked the #1 Ski Resort in North America for 2018 by the readers of Ski Magazine based upon 25,000 reader reviews. The project plat was recorded on Friday, Aug. 31, with plans to break ground in September 2018.